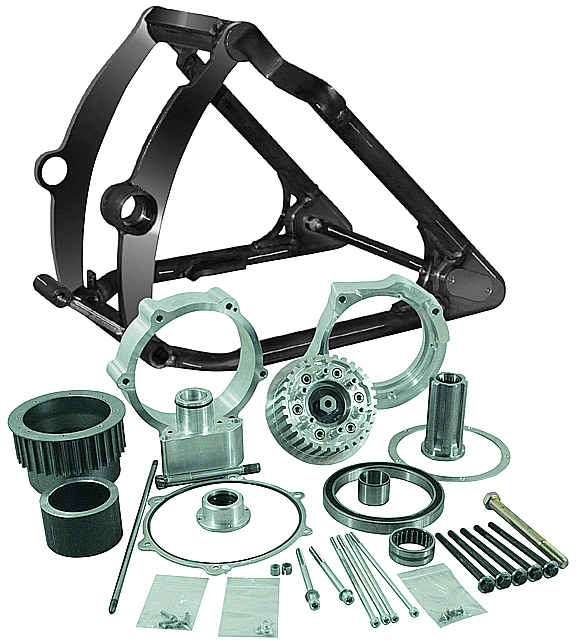 The 280 tire / 300 tire motorcycle swingarm kits are bolt on replacements for the stock 2014-up Harley Breakout swingarms and they enable you to mount a 280 or 300 tire on your stock Twin Cam Breakout without doing any modifications to the frame. These 280 / 300 tire motorcycle swingarm kits can be installed only in conjunction with a 24mm secondary belt and can fit up to 10.5” wide rims. Thanks to this innovative wide swingarm you will be able to mount a super-wide rear tire, without any modifications to your stock Breakout frame, still keeping front and rear wheels properly lined up for safe riding and great handling. PLEASE LET US KNOW IF YOUR USING STOCK CALIPER, AFTERMARKET CALIPER OR SPROCKET BRAKE .